Tioman Island is one of the best spots in Malaysia to snorkel and enjoy the beautiful marine life. The Island is habitat to large coral reefs that have given it a wide diversity in water life. Many tourists prefer to visit Tioman Island when it comes to water based activities because of cheap rates and the luxury of enjoying nature to its peak. 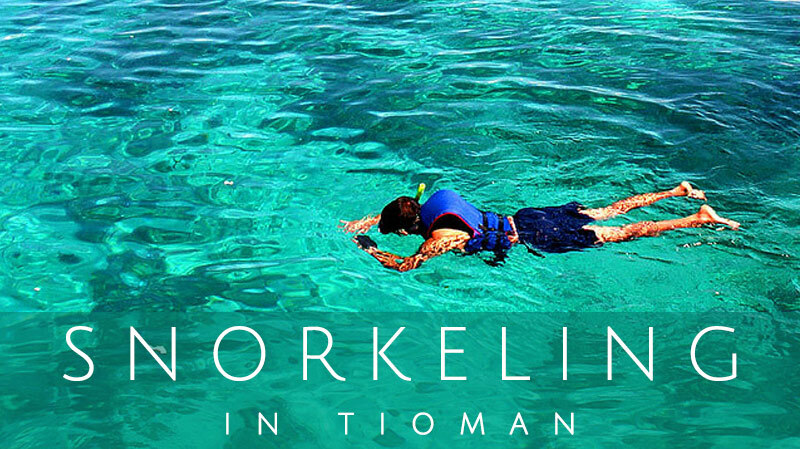 Snorkeling in Tioman is also one of the recommended things to do in Tioman Island for tourists. Why Snorkeling in Tioman is Preferred by Tourists? The best thing about why snorkeling in Tioman Island is more preferred by tourists is that there are no restrictions and people who love the water can stay in there as long as they want. Pulau Tioman is a world known place for diving and snorkeling. You do not need heavy equipment or gear to snorkel and can easily stay put in the water as long as you want. Due to a higher concentration of coral reefs mainly tourists and swimmers do not need to swim but the water currents carry them from one coral site to another so that gives everyone a chance to experience the water from up close and view all the marine life more closely. Most of the snorkel centers are sheltered from open water so it is great for kids and safe. There is no danger of fast and high water currents and gives everyone a unique chance to experience nature first hand. You can take an hour long trip to the nearest snorkeling sites which involves nearby examination of marine life or there are half day trips to corals located near the island which are more preferred by the tourists visiting the place. Some of the best sites to enjoy snorkeling in Tioman Island are listed below. Renggis Island which is considered one of the best places for snorkeling in Tioman Island. The shallow waters of the area host some of the best marine life that snorkelers can view and also houses nice big corals in its adjacent area. The marine life that surrounds Renggis Island is not known to be aggressive but very friendly and it is reported that fishes often eat from human hands. The snorkeling around Coral Island and Malang rocks is very impressive and contains a lot of diversity in the water life it has to offer. The best trips are made in groups where you can cherish the moments with your snorkel buddies. The corals around this area are a bit damaged but nonetheless provide a good view of the water life. The marine life is more visible around the corals and in shallow waters so you can get glimpses of fishes up close. Marine Park is a good location for water based activities, especially snorkeling. The place gives a splendid view of the aquatic life and the fishes are very friendly. You can feed some fish underwater which is truly an amazing experience, not to mention the park hosts a commendable turtle population so if you are into turtles then this place is a must visit during your stay in Pulau Tioman. The Marine Park Tioman also offers full marine snorkeling sets at about RM 15 and full rental of fins at about RM 7 so you can enjoy all day snorkeling trips. Being an Island, Tioman beaches offers picturesque view & clear water for snorkeling. Salang beach is another great place for snorkeling in Tioman Island and enjoying the marine life to its finest. You can catch a lot of turtles and puffer fish in the area surround Salang beach. Kids will be highly interested in the clown fish which is plenty in the area, not to mention low tides make it a safe place for kids to snorkel and experience the marine life. If you are not planning a day short trip to Pulau Tioman, then one of the many things you can do here is to get a diving license which is cheaper in the region. With diving license in hand, you can enjoy free diving in multiple locations in the Island. snorkeling package for 3adults & 1 child (10yrs old) – how much?